MANILA, Philippines – Insular Life believes in the dreams and aspirations of Filipinos who want to give their families a good life. Food, shelter, clothing, education, occasional family vacations and more. To provide all these would entail a sizeable amount of money, leaving very little for unforeseen circumstances. By planning ahead with the help of InLife’s Solid Cover, their families can have a life well-provided for whether or not they are present to witness it. Solid Cover is a peso-denominated, regular pay investment-linked life insurance product that offers maximum protection. It provides continuous coverage for the first 10 years of the policy regardless of market conditions, as long as premiums are paid as they fall due and no withdrawals are made. Solid Cover provides an insurance protection benefit, which can be as much as 180 times the annual premium. 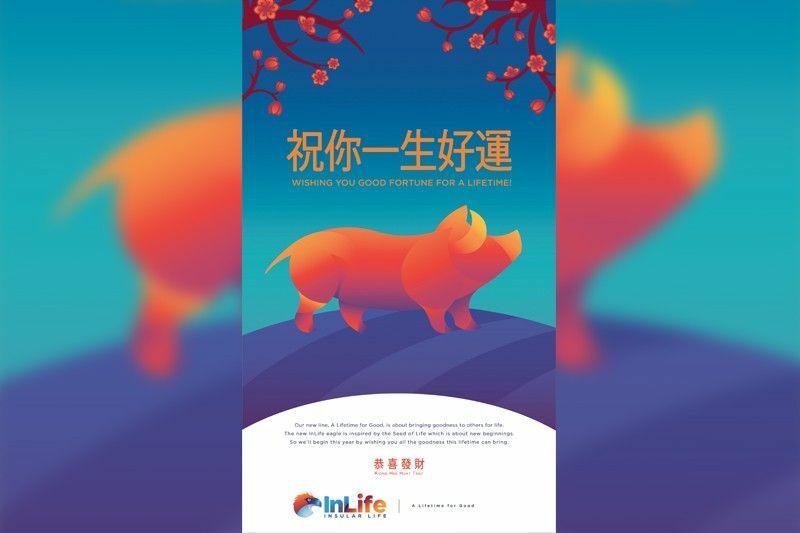 “Solid Cover is one of InLife’s ways to bridge the gap between Filipinos dreaming of a good life for their families, and actually having the means to fulfill them,” said Miriam Choa, chief marketing officer for InLife. Solid Cover is best for family breadwinners who wish to prepare for the financial impact brought about by life’s uncertainties but have never gotten to doing so because of steep insurance premiums. It starts at an annual premium of P20,000, or a monthly premium of P1,700 a month (That’s just P55 per day!). Depending on the insured’s age and rating, this can already buy a P3.2-million worth of coverage. This means the family does not have to suffer financially if the breadwinner passes away. As Solid Cover is a Variable Universal Life Insurance (VUL) product, the fund value accumulated by the policy over the years can be used to fund family bonding experiences, such as vacations to local or international destinations. “We want our countrymen to realize the hope that they harbor and move forward, leaving no one behind. In fact, we say, with Solid Cover, may insurance na di mahal para sa nagmamahal,” Choa said. For more information about Solid Cover, interested parties may call InLife at 582-1818 or visit www.insularlife.com.ph/solidcover.